A surprising creative partnership between two essential names from the world of avant-garde jazz percussion and contemporary music. 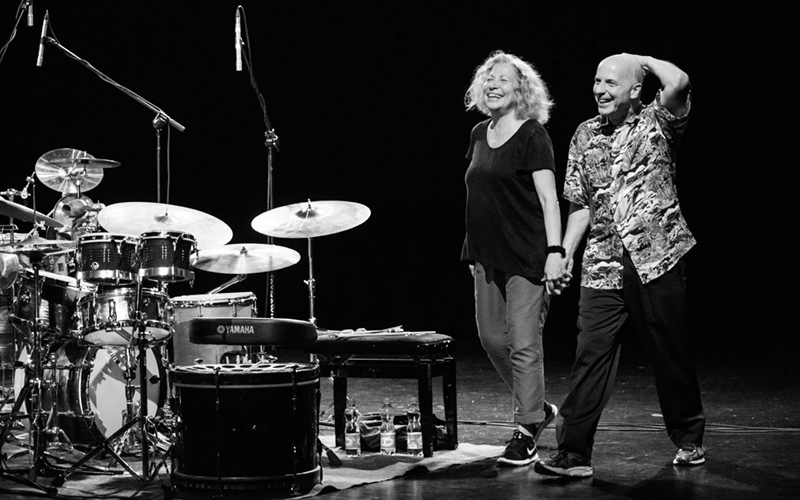 While Joey Baron is one of John Zorn’s closest collaborators, a member of the seminal Naked City and Masada, Robyn Schulkowsky is a distinguished percussionist who has worked with composers Stockhausen, Feldman or Xenakis. Their second album as a duo – Now You Hear Me – confirmed how special their sound is in 2018.